Massachusetts hospitals are poised to receive a $3.5 billion windfall in federal funding over the next 10 years thanks to a little-known provision Sen. John Kerry (D-Mass.) inserted into the Affordable Care and Patient Protection Act, also known as "Obamacare." The increased funding—$367 million a year in the form of Medicare reimbursement payments, according to the Federal Register—would not only come at the expense of hospitals in the 49 other states, but would also directly benefit an organization that has given generously to Kerry’s campaign. The obscure policy change was formally approved by the Center for Medicare and Medicaid Services (CMS) in July 2011. It was prompted by a small, 15-bed hospital located on the upscale island of Nantucket, a popular vacation spot for wealthy New Englanders where Kerry and his wife own a $9 million waterfront home. Nantucket Cottage Hospital, which had been operating under a special "critical access" status, sought a number of years ago to be reclassified as a "rural" hospital. The CMS approved the change for fiscal year 2012—a minor adjustment on paper, but one with profound implications. The Balanced Budget Act of 1997 established a "rural floor" for hospital labor costs (which are used to determine reimbursement rates) mandating that hospitals in urban areas within a given state cannot be paid less than those in rural areas. Until Nantucket Cottage Hospital made the switch, Massachusetts had no rural hospitals in operation, so the conversion meant that the small hospital, where wages are quite high given its isolated location and high cost of living, would effectively set reimbursement rates for the entire state. The prospect was so appealing to the state’s mainland hospitals that they urged Nantucket Cottage to make the change, and even agreed to reimburse it for any financial losses incurred as a result of the change. On its website, in a statement prepared at the time, Nantucket Hospital said: "If this change back to rural status occurs, it would provide a financial benefit for all hospitals in Massachusetts because the state’s Medicare reimbursement rate would increase, and MGH and other Partners facilities would be among the many hospitals in the state that could realize greater reimbursements." Partners spokesman Rich Copp told the Globe in August 2011 that the company would gain between $40 million and $50 million as a result of the new rule, and denied that Partners’ affiliation with Nantucket hospital was financially motivated. The company, through its board members and top executives, has given generously the Kerry and other Democrats over the years. Since 2007, Partner’s employees have contributed more than $26,000 to the senator’s campaign, and are collectively his 16th biggest donor over the current cycle. President and CEO Dr. Gary Gottlieb has given more than $45,000 to Democratic candidates and committees since 2007, including $5,300 to Kerry, according to a database maintained by the Center for Responsive Politics. Partners board chairman Jack Connors Jr. has given more than $42,000 to Democrats during that same period. Members of the group’s board have given generously, and almost exclusively, to Democrats, including tens of thousands to Kerry. Four Partners board members in particular—Anne Finucane, Charles Gifford, Edward Lawrence, and Dorothy Terrell—have collectively contributed more than $200,000 to Democrats since 2007 and nearly $15,000 to Kerry. Copp declined to say whether this flow of money was indicative of corporate-political cronyism at work. "Those are personal donations, and I cannot speak to them," he told the Washington Free Beacon in an email. Partners also maintains an active presence in Washington, D.C., having spent approximately $4.4 million on lobbying since 2008. The new policy has drawn the ire of hospital associations in other states, which recently petitioned the White House to overturn to the change in policy. "If I could think of a better word than outrageous, I would come up with it," Steve Brenton, president of the Wisconsin Hospital Association, told the Associated Press in response to the new rule. Herb Kuhn, president of the Missouri Hospital Association, said the Massachusetts windfall was an example of "how to manipulate the payment system." Because the amendment required that such payment adjustments be budget neutral at the federal level—meaning all increases for one state must be offset with reductions elsewhere—hospitals in the 49 other states will collectively lose about $367 million in annual Medicare payments to offset the additional funding for Massachusetts. "This … provision permitted the Commonwealth of Massachusetts to manipulate the federal Medicare program, reaping an estimated $367 million annually from the other 49 states—unfairly favoring one state’s hospitals and Medicare beneficiaries to the detriment of others," a coalition of 19 state hospital associations wrote in a Jan. 18, 2012 letter to President Obama. "Scarce Medicare funding should reward value and efficiency in health care, not be diverted based on artful manipulation of obscure payment formulas." Federal agencies responsible for overseeing Medicare payments raised concerns about this very sort of manipulation. The Medicare Payment Advisory Commission (MedPAC) anticipated this development in a June 2011 letter to chief Medicare administrator Donald Berwick. "The conversion of Nantucket Cottage Hospital…will trigger the rural floor wage index exception for the 60 urban hospitals in the state of Massachusetts," the commission wrote, "increasing wage indexes for these hospitals from an average of 1.16 in FY2011 to 1.35 in FY2012." "This is a clear example of how the current system of exceptions is not an equitable method of adjusting for input prices," MedPAC concluded. CMS had also raised concerns about this sort of maneuvering by state hospitals. "We are concerned that hospitals are converting … solely in order to raise the State’s rural floor," reads a CMS analysis from 2007. "We are concerned about the propriety of such an arrangement if the intent is to manipulate the State’s area wage index values to receive higher Medicare reimbursement." CMS actually passed a rule in 2009 explicitly designed to prevent any one state from exploiting the system to their benefit, by making reimbursement adjustment budget neutral at the state rather than federal level. 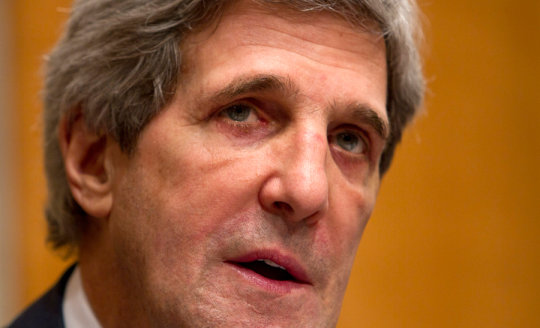 The Kerry-sponsored amendment, however, overturned the rule. Proponents of the new rule contend that Massachusetts hospitals were unfairly treated under the old arrangement, and the new policy simply makes up for that. "The claim by several state hospital associations that there has been ‘manipulation’ of the Medicare reimbursement rules by Massachusetts hospitals is completely false," the Massachusetts Hospital Association said in a statement to the Washington Free Beacon. "To be very clear, there was nothing in the Affordable Care Act that was directed to treat Massachusetts differently from any other state." Kerry and other Massachusetts lawmakers wrote a letter to the White House on Jan. 31, 2012, charging opponents of the rule with being "motivated by a desire not to reform Medicare payment policy, but to attack the Affordable Care Act." Kerry press secretary Jodi Seth told the Washington Free Beacon that the new rule "levels the playing field for all hospitals by returning to a long-standing CMS policy." "The word Massachusetts never appears in this amendment because this is about nationwide budget neutrality, not Massachusetts hospitals," Seth said. This entry was posted in Issues and tagged Congress, John Kerry, Obamacare. Bookmark the permalink.